Sir Roger Bannister, the first man to break four minutes in the mile, passed away on Saturday, March 3 at his home in Oxford, England. He was 88 years old. The running hero was diagnosed with Parkinson's disease in 2011. A statement released on behalf of his family said: "Sir Roger Bannister, died peacefully in Oxford on 3rd March 2018, aged 88, surrounded by his family who were as loved by him, as he was loved by them. He banked his treasure in the hearts of his friends." Bannister became the world record holder and a barrier breaker for eternity on May 6, 1954, when he clocked 3:59.4 for the mile. The record would stand for 46 days. He trained while completing his medical studies at the University of Oxford and would later become a neurologist and a leader in his field. 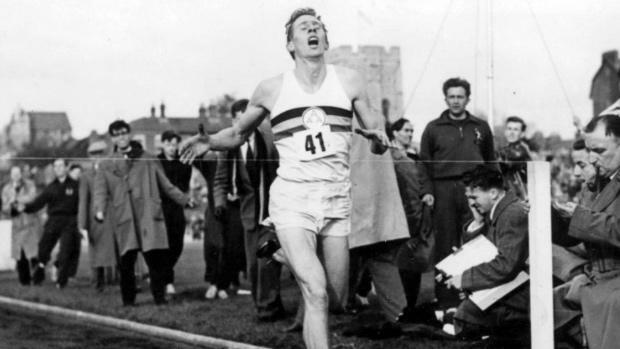 Bannister won the mile at the 1954 Commonwealth Games. His death was announced on the final day of competition at the IAAF World Indoor Championships, currently being held in Birmingham, England. A two-minute tribute was held for Bannister before the start of competition and, fittingly, the men's 1500m final will take place this afternoon at 4:12 p.m. local time. IAAF President Seb Coe tweeted, "This is a day of intense sadness both for our nation and for all of us in athletics. There is not a single athlete of my generation who was not inspired by Roger and his achievements both on and off the track."